Buying a static caravan could herald the start of a truly magical adventure! Having your own home away from home might be just the ticket, especially on warm, sunny days! However, it’s not always easy to know where to begin or what to look out for, when choosing a static caravan. That’s why at The Insurance Emporium, we’ve come up with some useful tips on things to consider when looking for your holiday home! …Isn’t funny. But it’s definitely necessary! If you don’t have the funds to buy your static caravan outright, you might want to look into finance options. Nowadays, many caravan dealerships and holiday parks might be able to offer finance. Although it could also be a good idea to check out comparison sites to ensure you’re getting the most competitive rates. On a similar note, you might want to look at all the different costs static caravan ownership might involve. These could include; site and pitch fees, insurance, gas, water and electricity. If you would like help in covering these, you could consider letting your caravan out to other holidaymakers when you’re not using it. 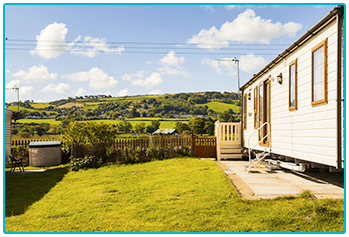 But beware – not all caravan sites will allow this, and it would not be covered by The Insurance Emporium’s Static Caravan Insurance. Think carefully whereabout you would like your static caravan. If you are hoping to visit regularly it might be best to choose somewhere close to home. Whereas, if you want the caravan for only the occasional holiday you could go for somewhere a greater distance away. Also, if you don’t own a car, you might be best off finding somewhere with good connections to public transport! Your static caravan will be pitched within a caravan park, so part of the process will be to check some out! Think about what you want from your holidays; to be close to action and activities? Or somewhere quieter and more secluded? Also, consider which bit of the park you would like your caravan to be located – some areas may be more family friendly and others better for couples. 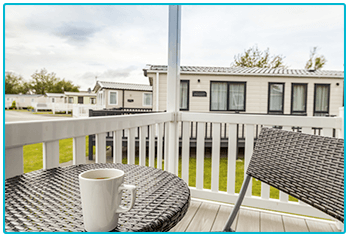 It might pay to find out if the park is a member of the British Holiday Home Association or National Caravan Council, as it could be an indicator as to how well they’re run. Last but not least, you might like to look at some caravans! One important thing to think about could be how many people you expect to have staying, as this will affect how many beds you need. Also, where would you like the most space – the living area, kitchen or bedroom? Buying new or second-hand might affect the cost. The caravan site might also already have static caravans in situ available to buy, which could eliminate transportation costs. If you want to use your ‘van during winter it might also be a good idea to think about double glazing and insulation! We hope this guide might be useful in helping you choose the right static caravan, whatever your needs! If you’re considering looking for a new holiday home it could be wise to think about insuring it. 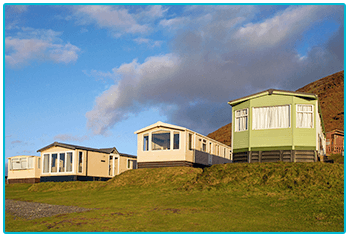 The Insurance Emporium offer up to 35% discount* on Static Caravan Insurance, with cover of up to 15 years New For Old^. Head to The Insurance Emporium today to find out more! * The 35% discount is available on lunar and calendar monthly policies and policies where the premium is paid annually. It is made up of a combination of any of the following where appropriate: 20% Introductory Discount, 10% No Claims Discount, 5% Caravan Club Discount, 5% Alarm Discount and 5% Secure Window Locks Discount. The total discount is capped at 35%. ^ Up to 15 years New For Old available on Elite Lunar Monthly policies.